Configure DHCP Client. 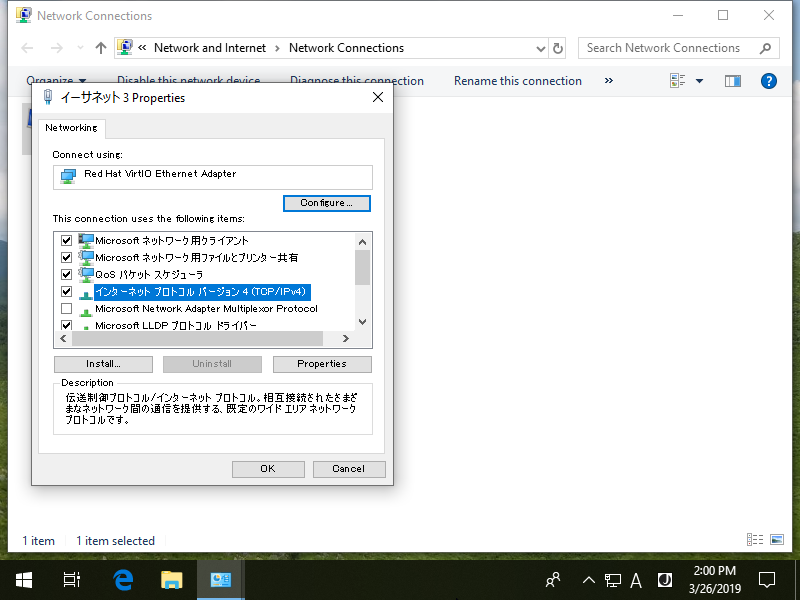 This example is based on Windows 10. Open Network settings and then, select [TCP/IPv4] and click [Properties] button. 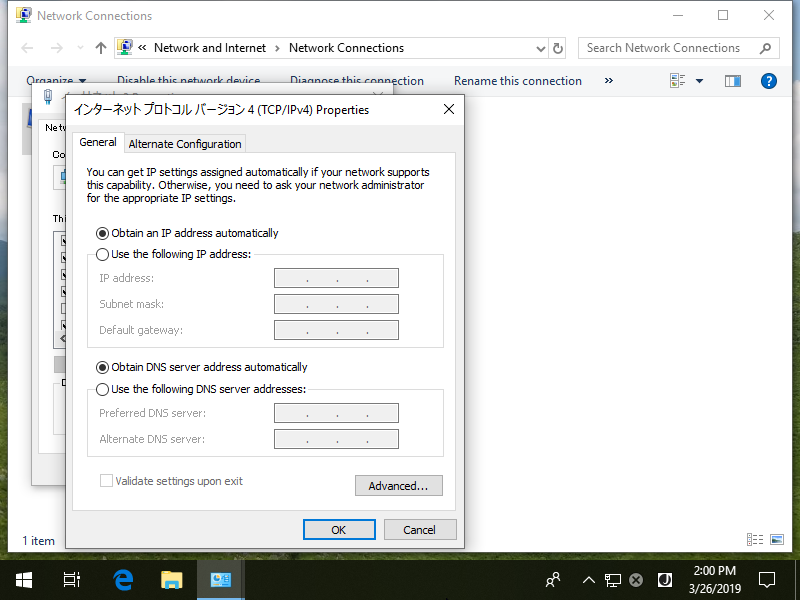 Set like follows to assign IP address from DHCP server. 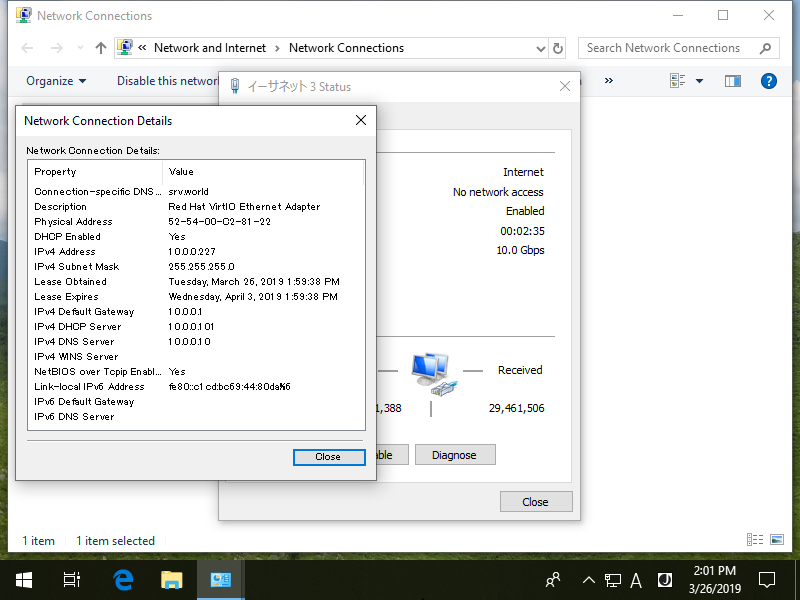 After re-configuration of networking, IP address is assigned from DHCP Server.